There is nothing worse than getting locked out of your car with a child or pet inside. As an emergency locksmith in Houston, there have been many occasions when we have been called upon by desperate parents who have had this happen to them. You should do everything possible not to put your child in a car lockout a situation. There are strict laws against leaving your child behind, unattended in a car. Any child that is under 8 years of age should be accompanied by a parent or guardian at all times. Research shows that the temperature inside a locked car is much higher than that outside. It could be twice as much as the outside temperature. Things can get really heated in the car. As hot as 160+ degrees inside! The temperatures inside a locked car remain very high even if you were to park the car in a shade and even if the windows are rolled down slightly. Kids are at a much higher risk from higher temperatures than adults as the rise in body temperature in kids is 3 to 5 times higher. This can be a traumatizing experience for the child as well as to the parents. But the important thing is not to panic and resort to something drastic if you were to get into such a situation. Retrace your steps and see if you have misplaced the keys anywhere. It’s possible that it’s in an obvious spot that you may have overlooked. If you find the keys, great, if not, call an Houston-based emergency locksmith immediately. Make sure to save our number 713-955-1009 and call us anytime, any day if something like this occurs. As an Austin emergency locksmith we are open 24 hours a day, 7 days a week, without breaks on weekends or holidays. 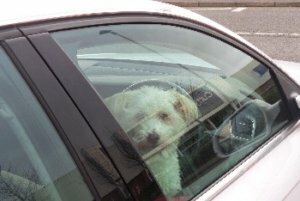 You should call us even if you spot a child or a pet trapped in a car with the parent or pet owner nowhere in sight. This can be a matter of life and death for the child or the pet. Meanwhile, do your best to calm the child. If the child is old enough, you can ask him or her to unlock the door from the inside – if you don’t have the child lock on. The last thing you want is to get stressed yourself – that will make the child more anxious and only leads to an increase in his or her body temperature. Try your best to make sure that that child does not get hysterical or scared. This is easier said than done, but must make sure that the child stays calm till the locksmith arrives on the spot. It could take us anything from 15 to 30 minutes to arrive at your location, depending on where you are. Houston Emergency Locksmith Explains What to Do When a Child is Locked Inside a Car http://713locksmith.com/houston-emergency-locksmith-explains-child-locked-inside-car/ 3.9/5 based upon 22 reviews.